I’ve known Chantal Bilodeau for a few years now, as our work aligns closely. She is the founder of Artists and Climate Change, an amazing site that covers a wide range of art that intersects with global warming. The art categories at AACC include architecture, comics, digital media, editorial, fashion, fiber art, film, installation, literature, multidisciplinary, music, painting, performance, photography, public art, sculpture, social practice, sound, and theatre. I will also use this time to announce that I’ve partnered with AACC’s Literature category–which is now rerunning this Climate Change Author Spotlight as a new series called Wild Authors. Chantal has a lot more on her plate, though. She is a playwright and translator whose work focuses on the intersection of science, policy, art, and climate change. 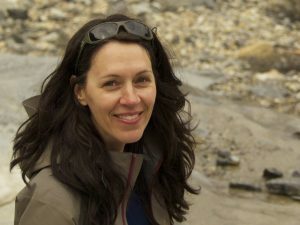 She is the Artistic Director of The Arctic Cycle, whose mission is to use theatre to foster conversation about our global climate crisis, create an empowering vision of the future, and encourage people to take action; the founder of the blog and international network Artists and Climate Change, and; a co-founder of Climate Change Theatre Action. She is a recipient of the Woodward International Playwriting Prize as well as the First Prize in the Earth Matters on Stage Ecodrama Festival and the Uprising National Playwriting Competition. Her work has been presented in the U.S., Canada, Mexico, Italy, Finland, and Norway. Her translations include over twenty plays by contemporary playwrights Sébastien David (Quebec), Mohamed Kacimi (Algeria), Koffi Kwahulé (Côte d’Ivoire), Catherine Léger (Quebec), Étienne Lepage (Quebec), David Paquet (Quebec), and Larry Tremblay (Quebec). She curates the HowlRound series Theatre in the Age of Climate Change and has written about the intersection of arts and climate change for American Theatre Magazine, the Center for Energy and Environmental Research in the Human Sciences, and the World Policy Institute. When I talked recently with Chantal, I let her know that Eco-fiction.com usually looks at written fiction and climate change, and asked about how her writing jumps from page to theater. My question was: How important is it to bring ecological crises into the performing arts, and have you had any feedback from your audiences about how your plays affect them? Chantal: Theatre is a great medium for telling stories because it is experienced live. Unlike a book which you can put down, or a film which you can pause, theatre requires our undivided attention from beginning to end and it asks that we connect with real human beings. I often compare seeing a play with going shopping. When you shop, you get to try on clothes until you find the one thing that really fits you. When you go see a play, you get to try on – vicariously through the characters on stage – beliefs and values until you find the ones that really fit you. And you get to do that in the company of fellow humans who are doing exactly the same thing. 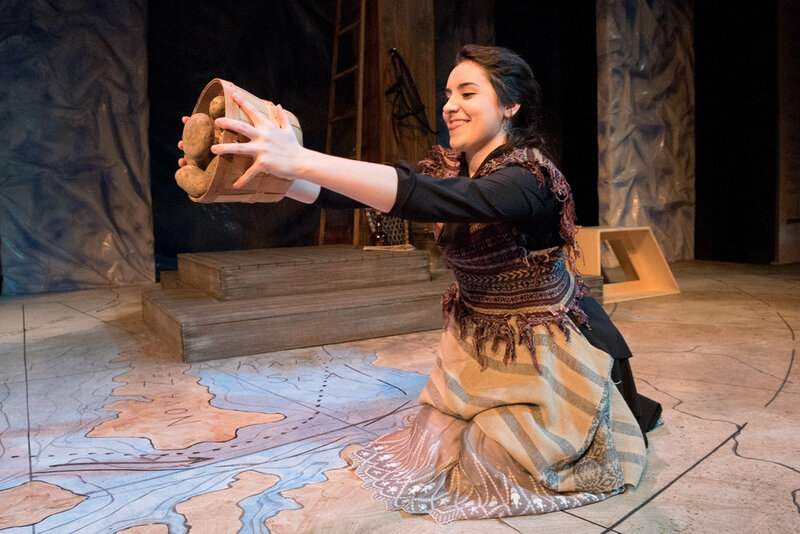 The feedback I have gotten from audiences about my plays varies depending on the location and the setting (for example, whether the play is presented on the East Coast or in Alaska, in a theatre or at a scientific conference). In general, people are moved and express the desire to want to do something to help. Sometimes, they see themselves represented on stage: A scientist once said he first thought the scientist character in Sila was misrepresented because of his lack of consideration for the community where he was doing research. Then he realized that the character was actually fine and that he and some of his colleagues were sometimes guilty of the same lack of consideration. At other times, I have had people from the Inupiaq community in Alaska tell me how amazed they were to see their Inuit neighbors’ struggles on stage echo their own. Chantal: Sila explores interconnectedness across the land. In Inuit mythology, sila (pronounced SEE-la) is the primary component of everything that exists. It means air, climate, or breath. 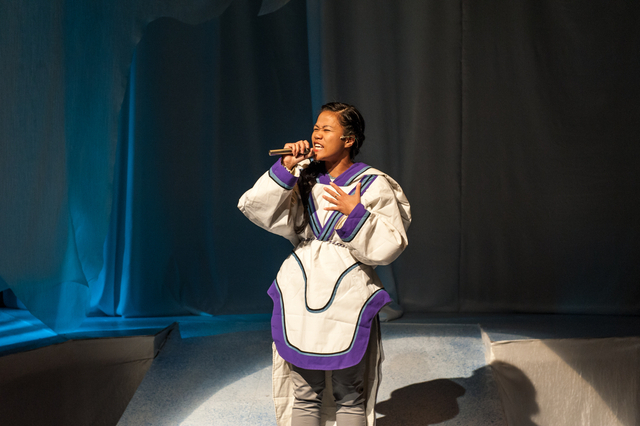 Because I wanted to embrace the complexity of what is unfolding in the Canadian Arctic, the play is an ensemble of conflicting voices held together by a shared breath and a sense of place. It presents a story where everyone belongs and has a say, including animals and gods, but no one holds the definitive view; a play where every language is spoken, and every realm (here on earth, below, and above) is represented; a sort of cubist story where it’s impossible to reduce the work to a single perspective. For Forward I continue to explore the concept of interconnectedness, but while in Sila breath was shared across the land, in Forward it is shared across time with one exhale becoming the next generation’s inhale. The play spans several generations, allowing for a witnessing of decision-making processes and their consequences. When we talk about climate change, we often mention our failure to think about future generations. To understand this phenomenon, I decided to look at how previous generations thought about their future generations. What did they imagine for us? Did they make informed, ethical choices? Forward. Kansas State University, 2016. I am currently working on No More Harveys—the third play of the Cycle, set in Alaska. As a solo show for one actress, No More Harveys looks at interconnectedness through a single body. It draws connections between the destructive behaviors of various Harveys—such as Harvey the hurricane and Harvey Weinstein the Hollywood producer—showing how these products of unfettered capitalism prey on vulnerable people. Especially women. An excerpt of the play was just presented in Helsinki under the title Whale Song as part of Women of the Arctic, a side event of UArctic Congress 2018. It was an interesting experience to present the play in this context and to observe the difference in reaction between men and women. As mentioned earlier, Chantal is the founder and Artistic Director of The Arctic Cycle, which uses theatre to foster dialogue about our global climate crisis, create an empowering vision of the future, and inspire people to take action. Operating on the principle that complex problems must be addressed through collaborative efforts, they work with artists across disciplines and geographic borders, solicit input from earth and social scientists, and actively seek community and educational partners. This initiative will include eight plays by Chantal, which look at the social and environmental changes taking place in the eight Arctic states. Each play is written after extensive research, visits to the areas, and consultations with scientists and local communities. Please see other initiatives of this project. For centuries, artists have been drawn to the Arctic as a pristine, naturally striking landscape to fill canvases, panoramas, and photo galleries. Today, Arctic artists do more than share the region’s natural magnificence with a global audience — through song, dance, and film they teach the world about climate changes at the top of the world. Zooming out from the Arctic, which is in critical crisis, artists and authors all over the world use creativity to celebrate nature, write cautionary tales, and reflect upon our world in a manner that goes beyond just data–and which connects on visceral levels to people everywhere.